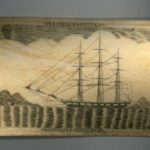 Mr. Paul C. Nicholson, the son of the founder of the Nicholson File Company, formed an outstanding collection of 750 manuscript logbooks describing 1,000 whaling voyages, as well as several thousand printed books on whaling. 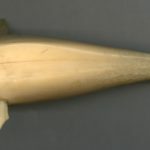 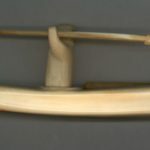 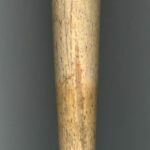 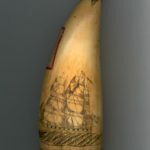 His collection also contained scrimshaw, a narwhal tusk, three harpoons, a harpoon gun, prints and photographs and ship models. 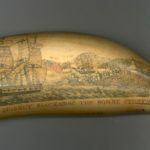 At the suggestion of Mr. Stuart C. Sherman, then librarian of Providence Public Library, Mr. Nicholson bequeathed the collection to the Library. 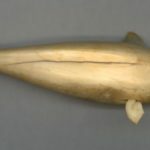 After Mr. Nicholson’s death in 1956 Mr. Sherman compiled a catalog of the logbooks and wrote an account of the collection that was published by the Library in 1965 with the title The Voice of the Whaleman. 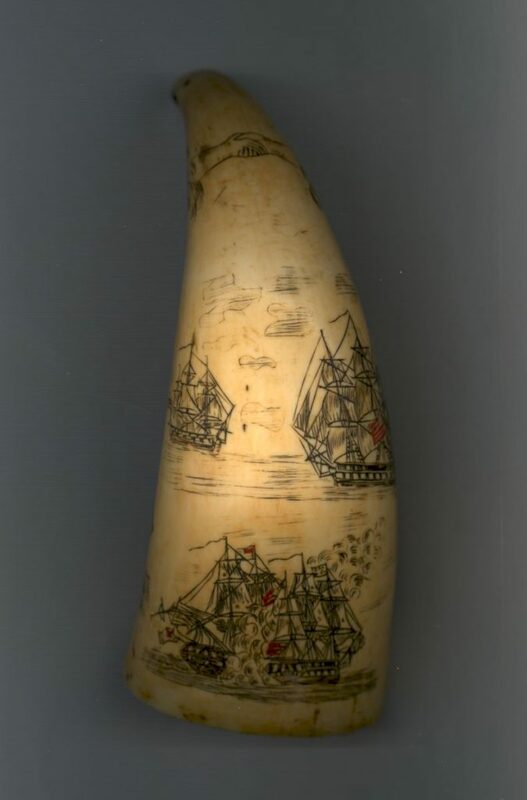 The book was handsomely printed by the Stinehour Press of Lunenberg, VT. 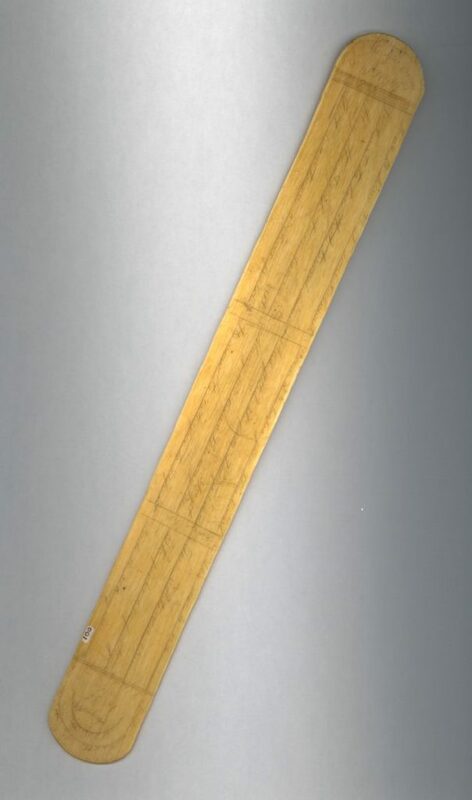 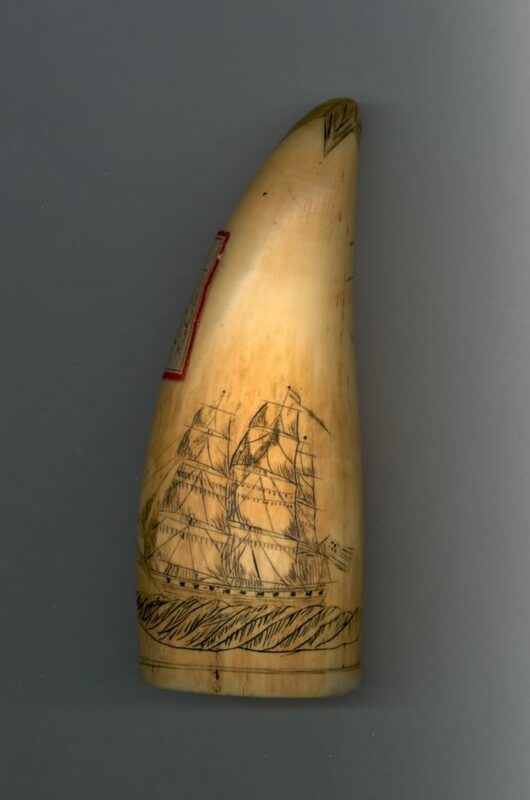 The Nicholson Whaling Collection is the second largest whaling logbook collection in America. 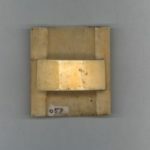 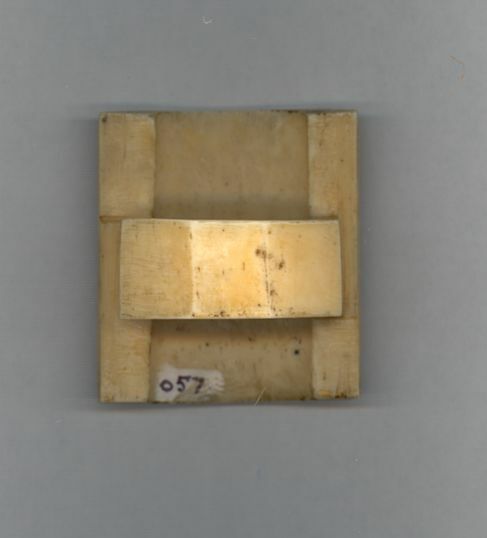 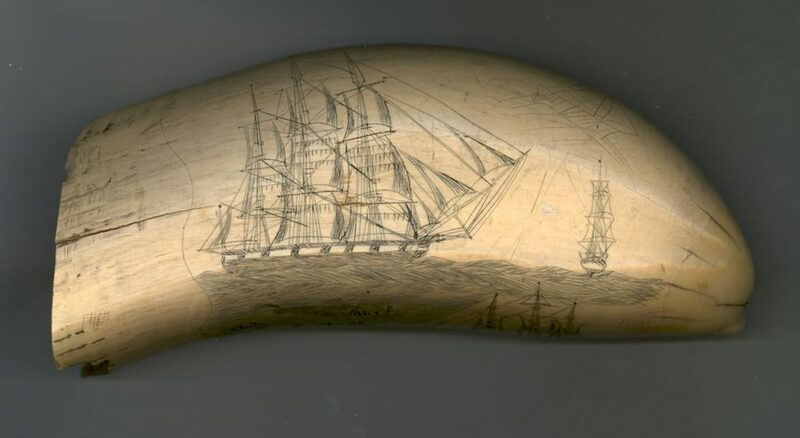 We welcome researchers, artists and the generally curious to visit and use the Nicholson Collection, and we’ve also made many of the logbooks available online. 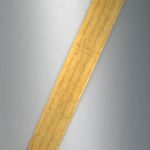 Links are available in the list of logbooks below. 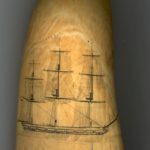 Following is Providence Public Library's alphabetical list of whaling ship logs, by ship's name, which has been indexed for the Nicholson Whaling Collection. 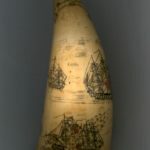 A single asterisk (*) indicates a log book that has been digitized in color. 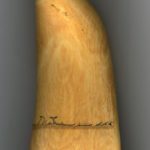 A double asterisk (**) indicates a log that has not been digitized. 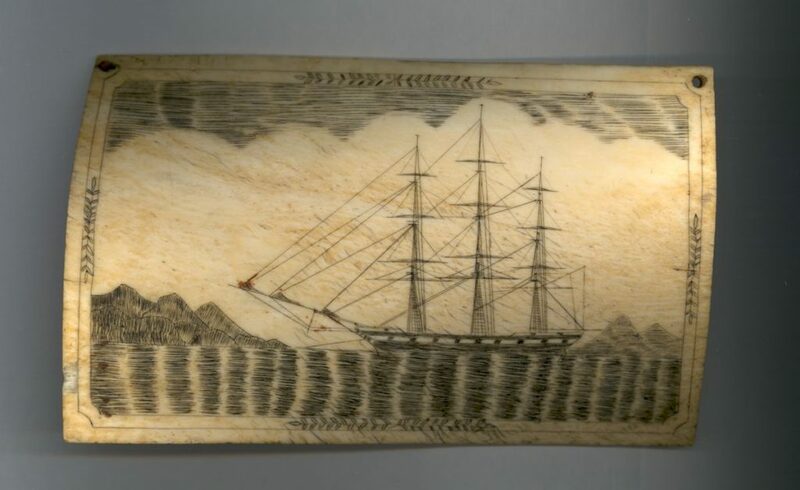 Contact Special Collections [LINK] to make an appointment to view the logbooks in person. 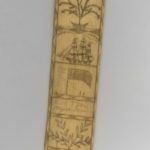 (To view larger images of the black and white logbooks, right click the image and download or view in a new browser tab.). 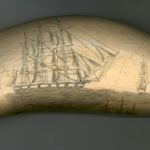 The Nicholson Whaling Manuscripts include crew lists, insurance documents, customs paperwork, correspondence and other documents relating to whaling voyages, including many voyages recorded by logbooks in the collection. 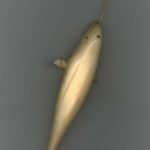 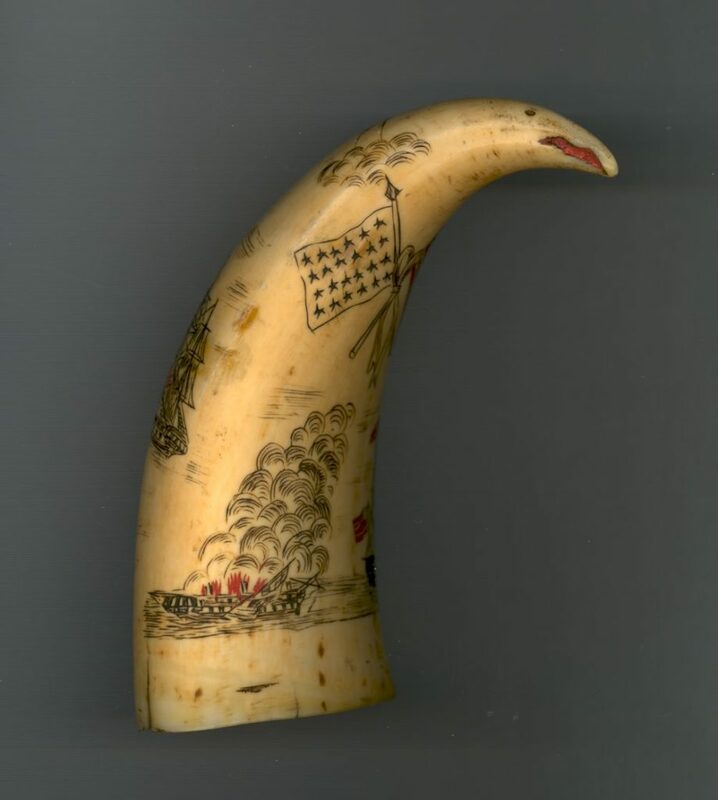 View the Whaling Manuscripts Collection guide for more information, and visit us to use the materials in person. 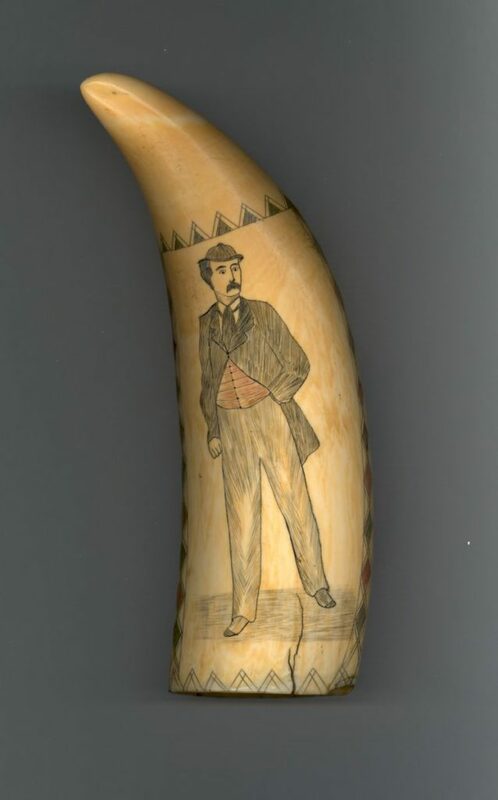 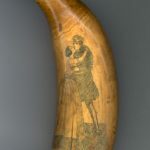 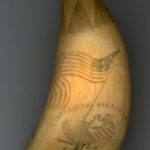 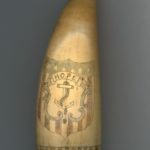 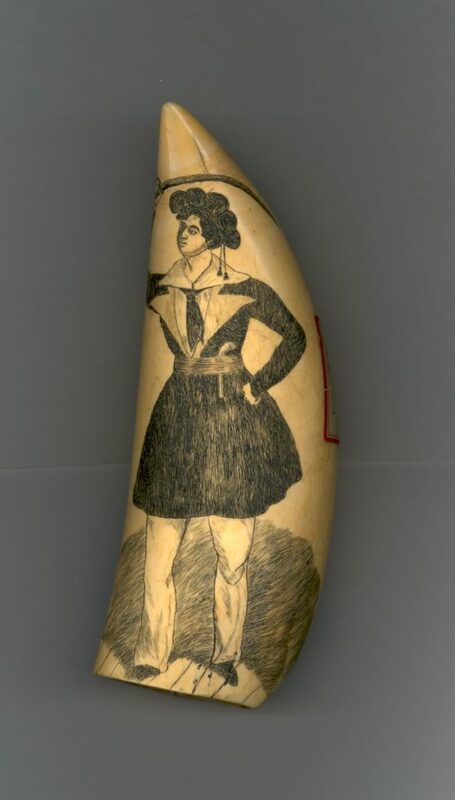 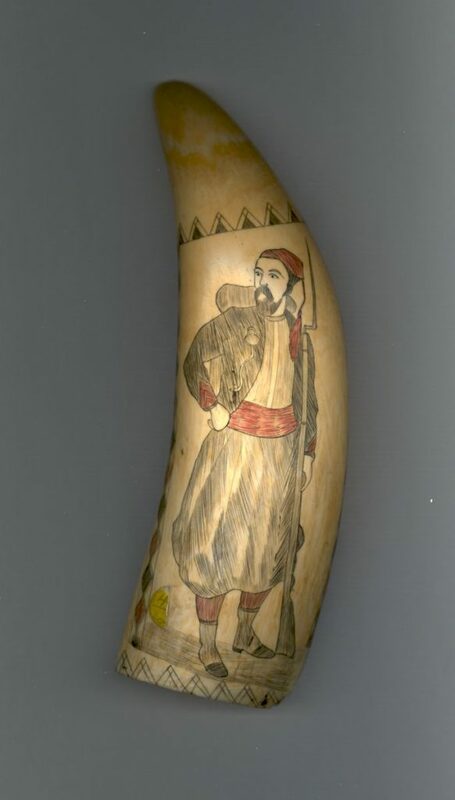 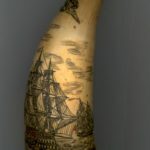 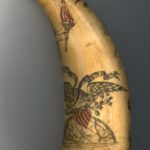 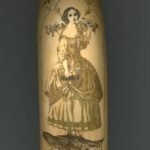 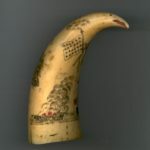 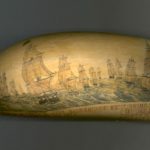 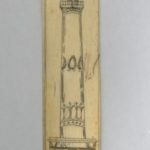 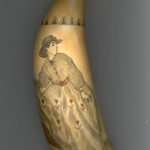 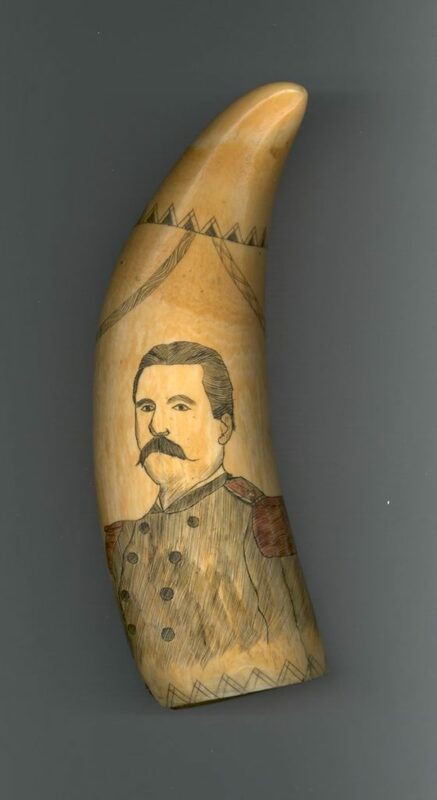 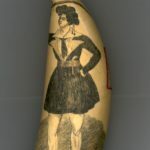 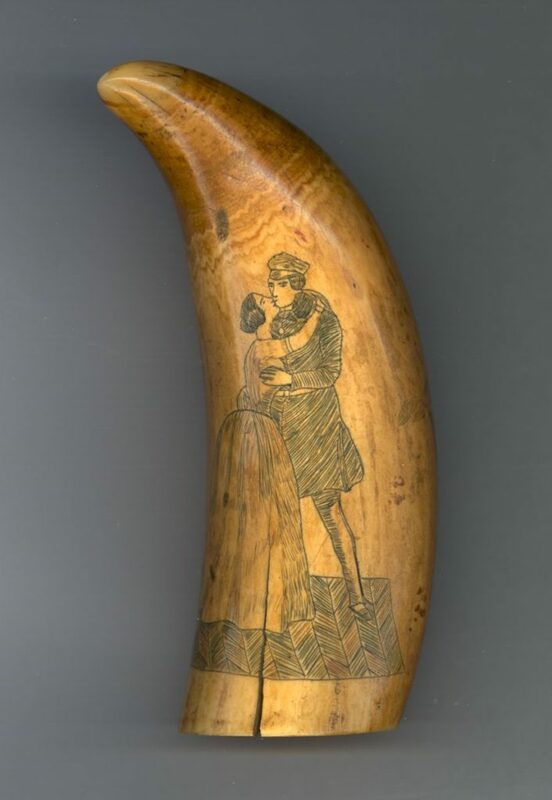 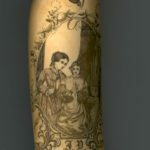 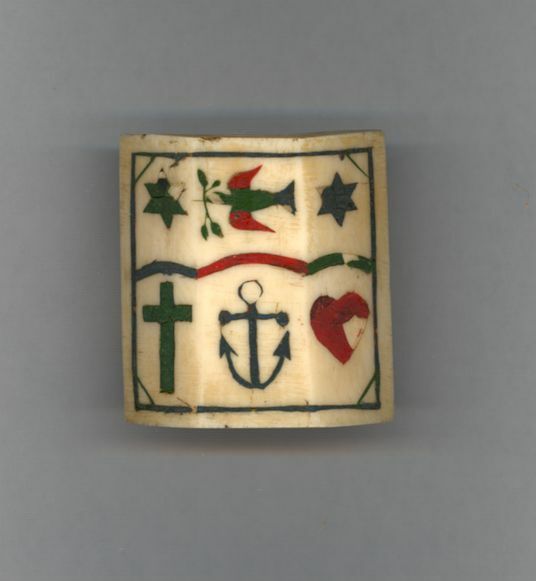 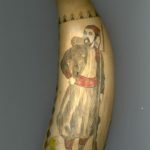 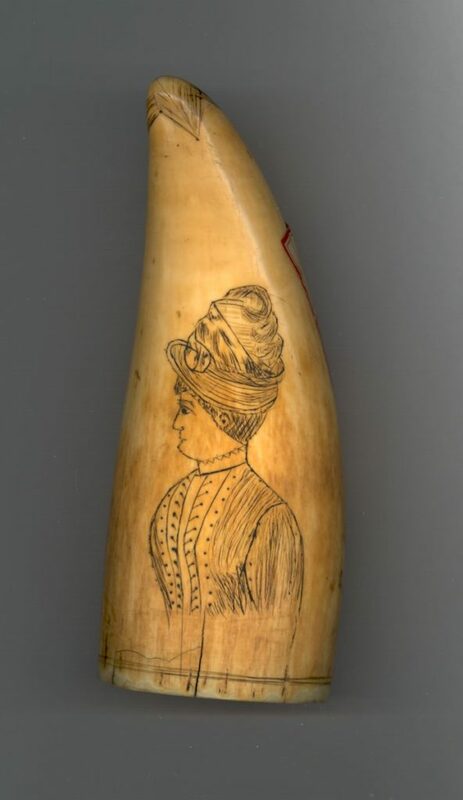 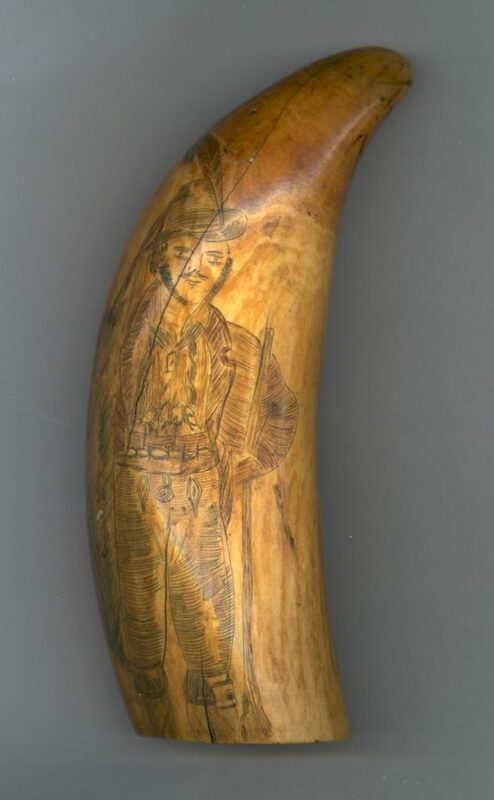 Scrimshaw is a form of folk art practiced by whalemen in the 19th and early 20th centuries. 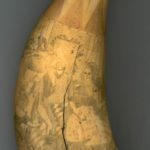 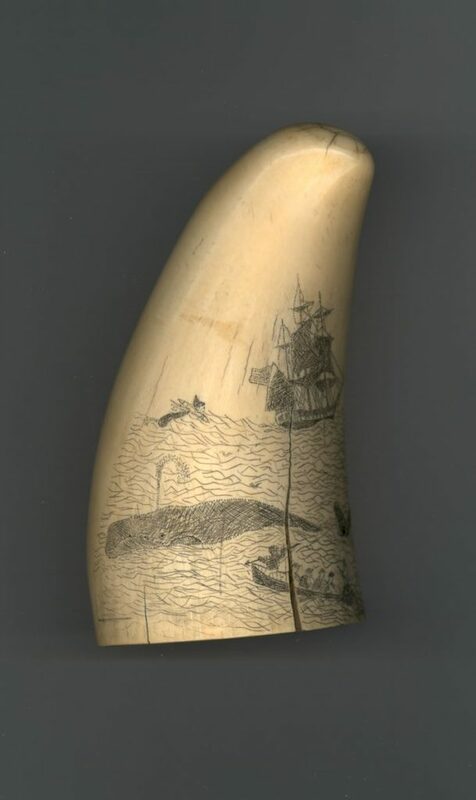 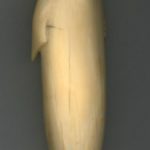 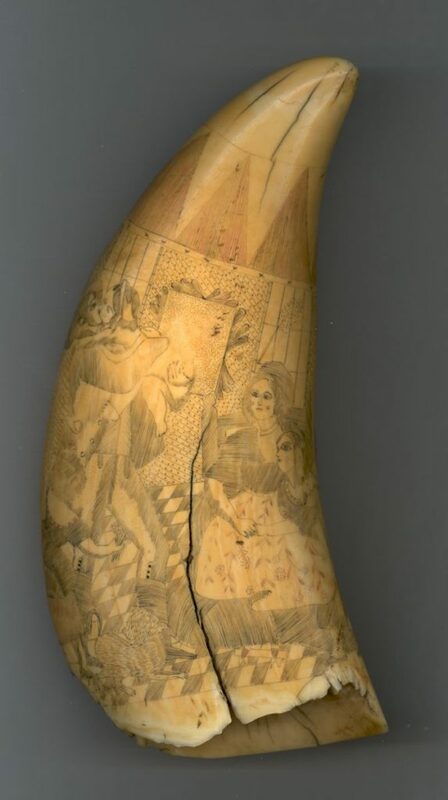 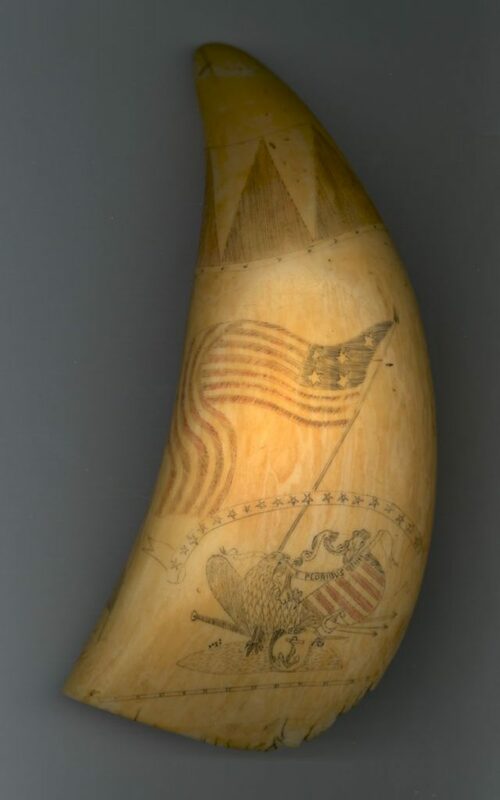 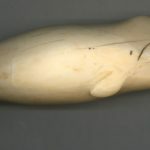 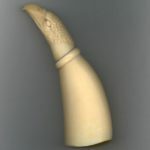 Some scrimshaw was also produced by those on shore who had access to whale products. 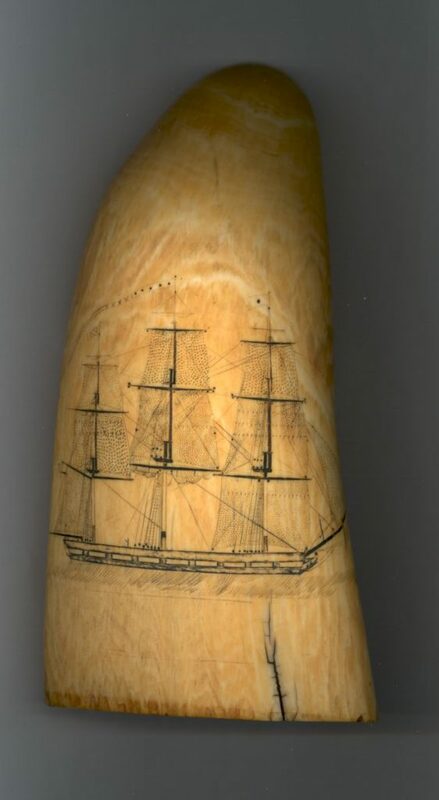 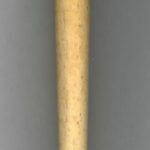 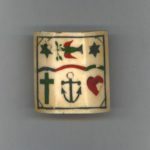 Makers of scrimshaw were called scrimshanders. 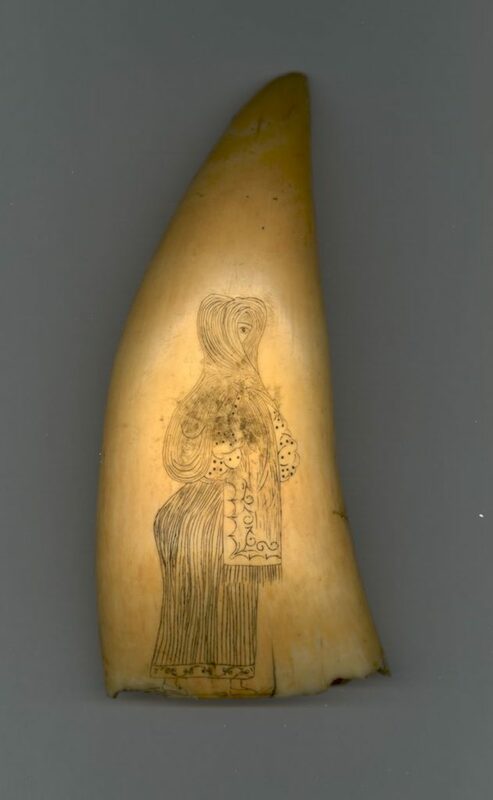 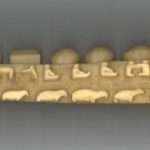 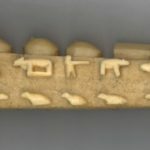 They engraved images on ivory, whalebone, whale teeth, wood and shells, and carved items of bone and exotic woods. 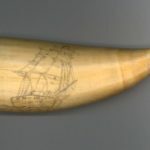 Typical works include decorated whale teeth and practical items such as napkin rings, canes, knitting needles, pie crimpers or jagging wheels (for cutting pastry), bodkins (for embroidery), swifts (yarn winders) and tools of all sorts for shipboard use. 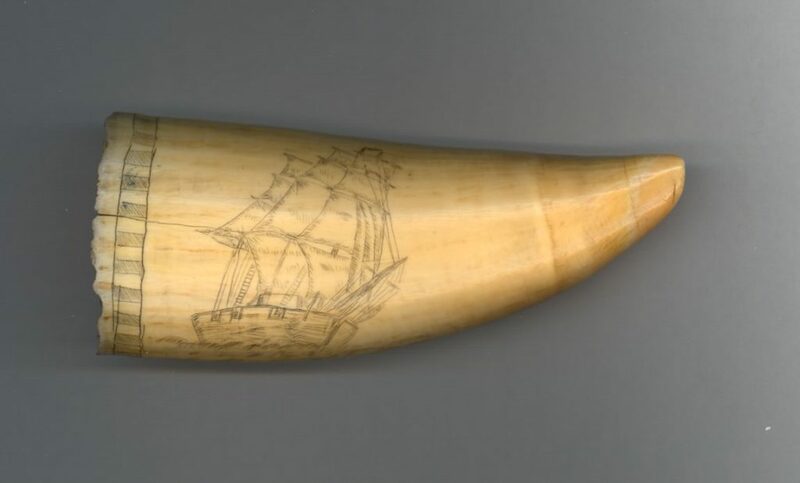 Whaling voyages averaged nearly four years. 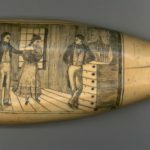 To relieve the boredom of long periods of time between whale sightings, whalemen often played cards, checkers, and wrote in personal journals. 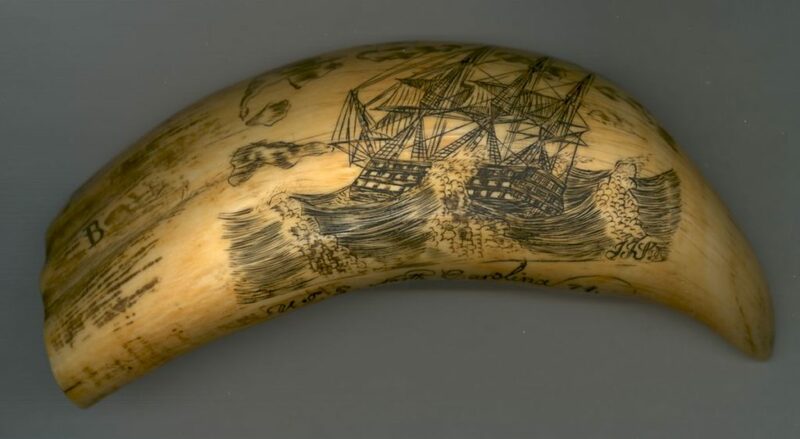 Those with an artistic bent did woodcarving, sketching, knotwork, and made scrimshaw. 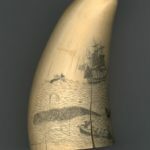 The taking of a whale provided scrimshanders with plenty of material. 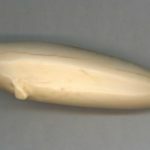 Sperm whales provided teeth; all whales provided bone; bowhead and right whales provided baleen, a black, flexible material found in the mouths of these whales. 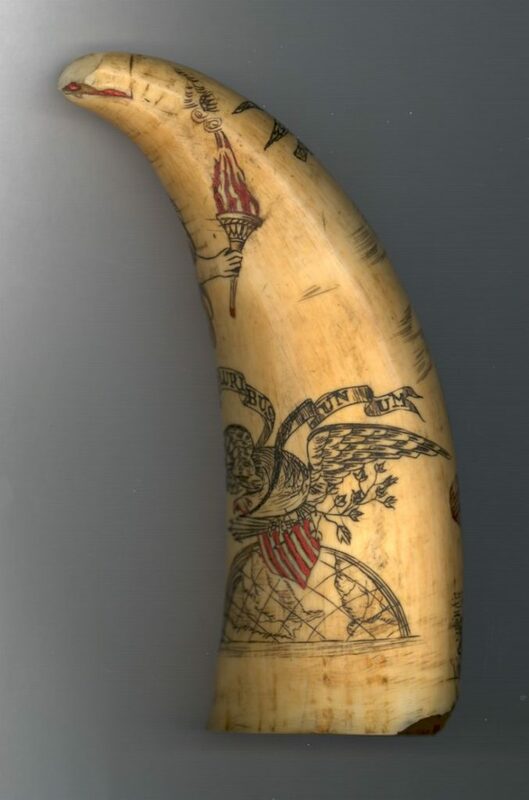 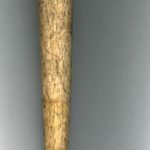 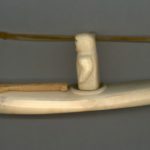 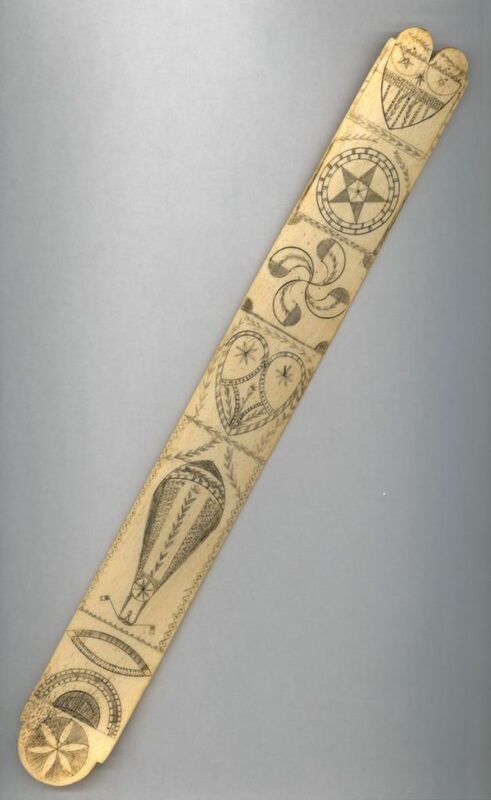 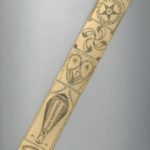 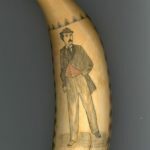 Walrus tusks were also decorated by whalers who ventured into Northern waters. 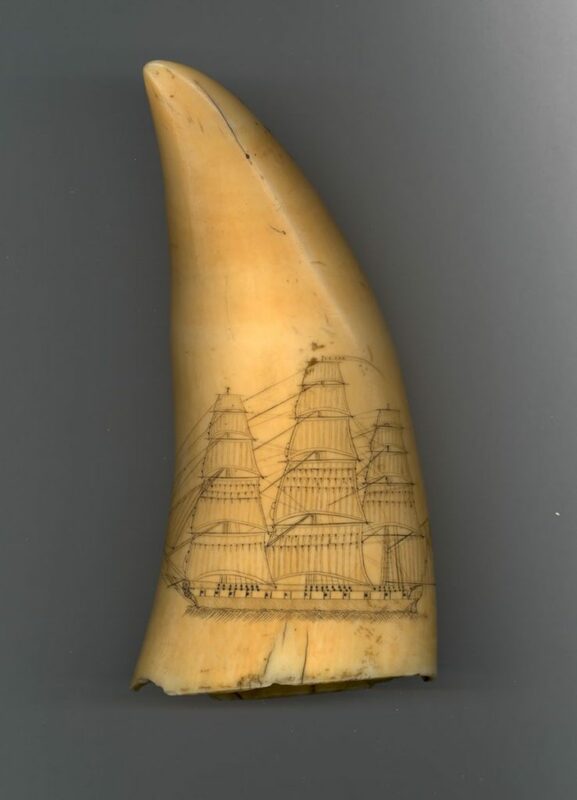 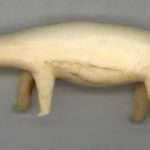 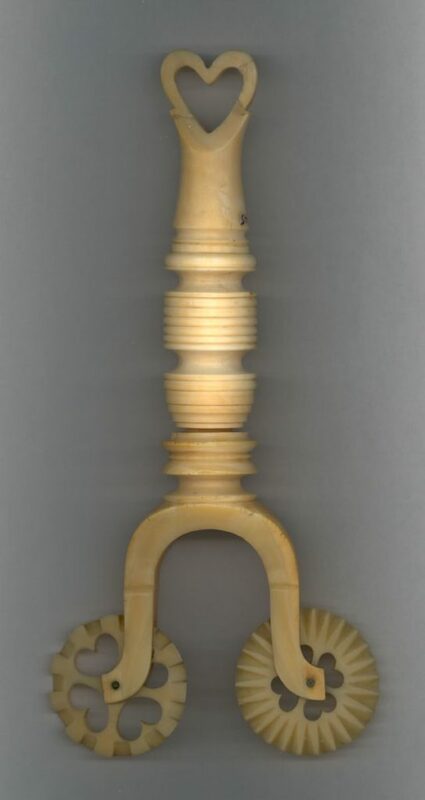 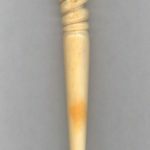 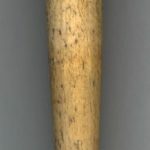 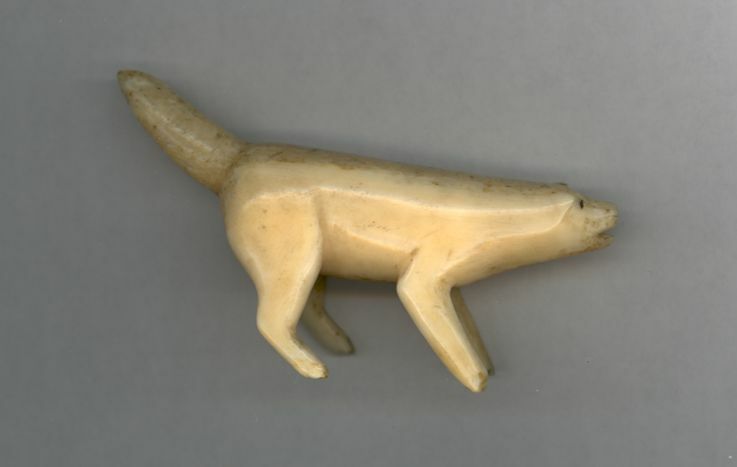 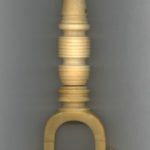 The quality of scrimshaw ranges from crude scratchings on teeth or bone to exquisite examples of fine craftsmanship with the majority falling somewhere in between. 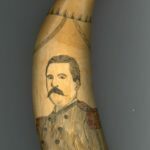 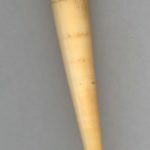 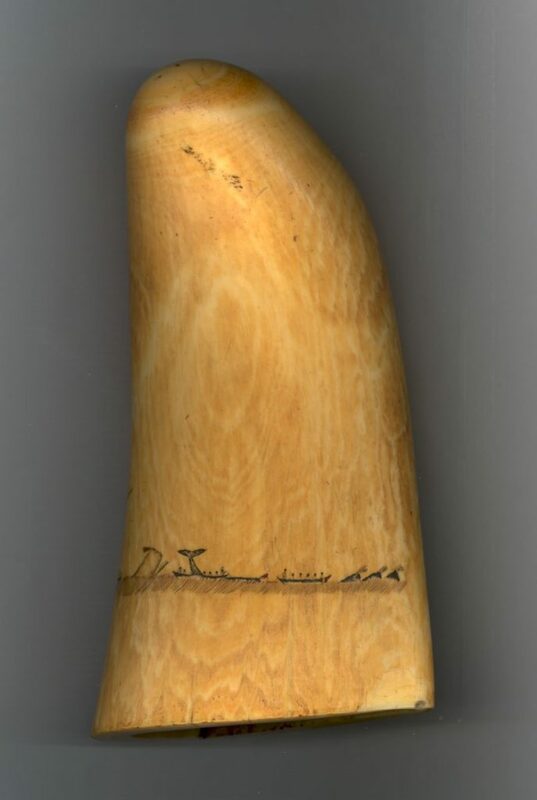 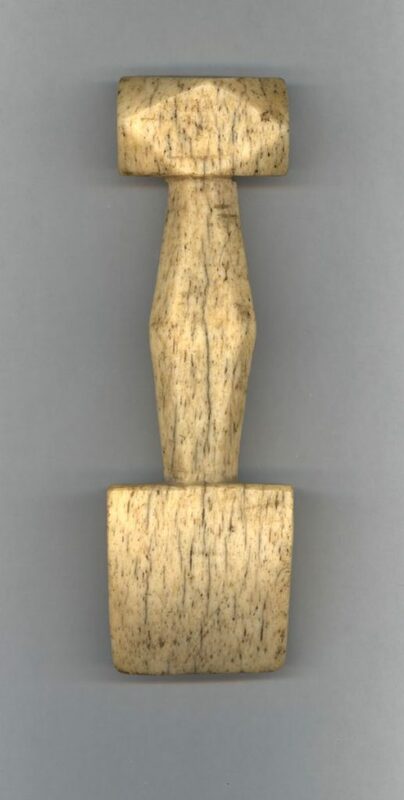 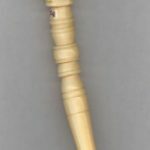 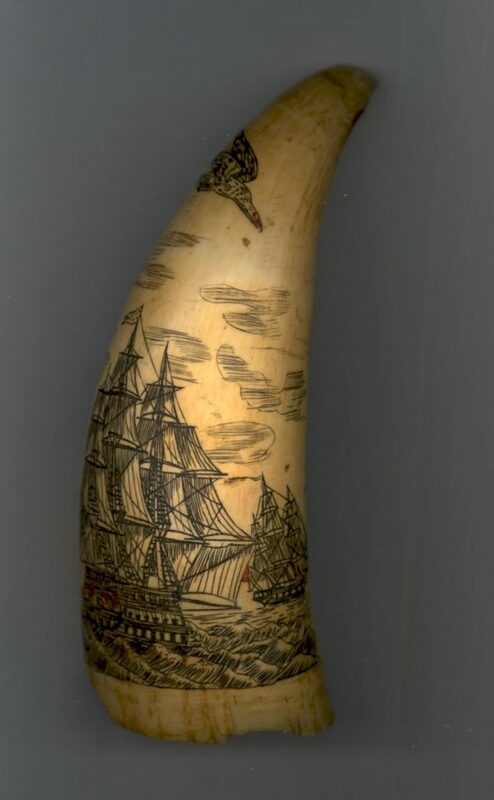 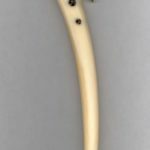 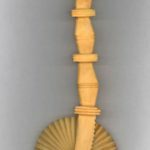 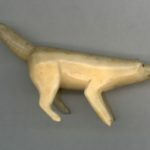 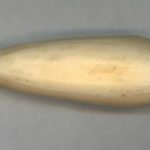 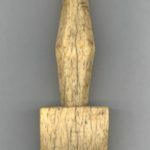 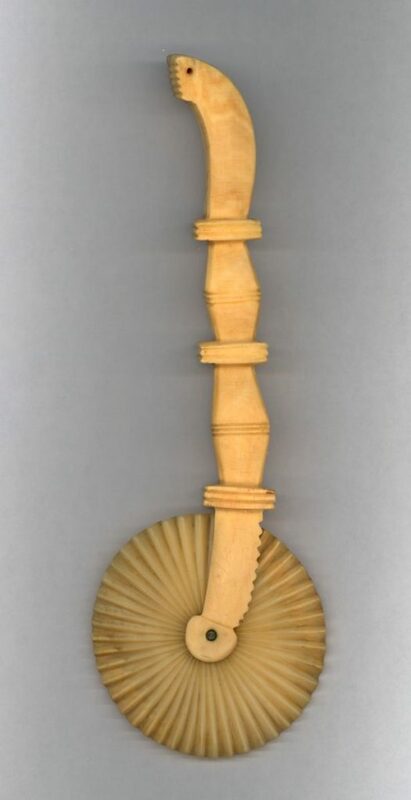 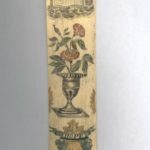 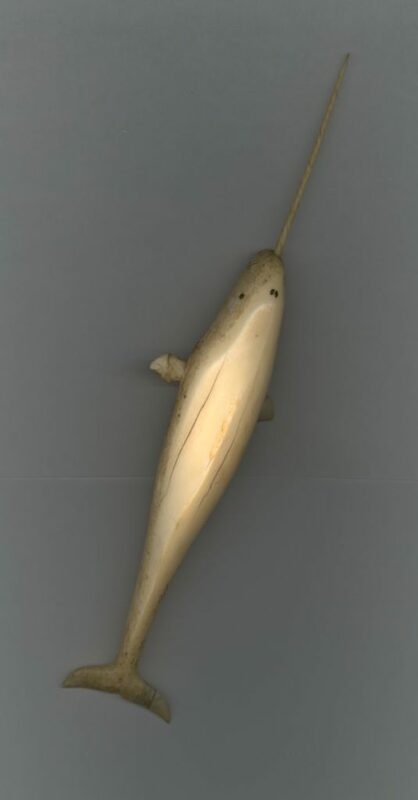 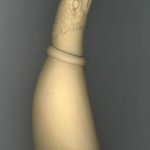 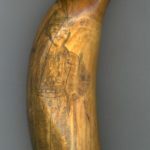 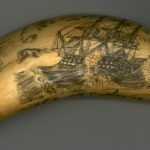 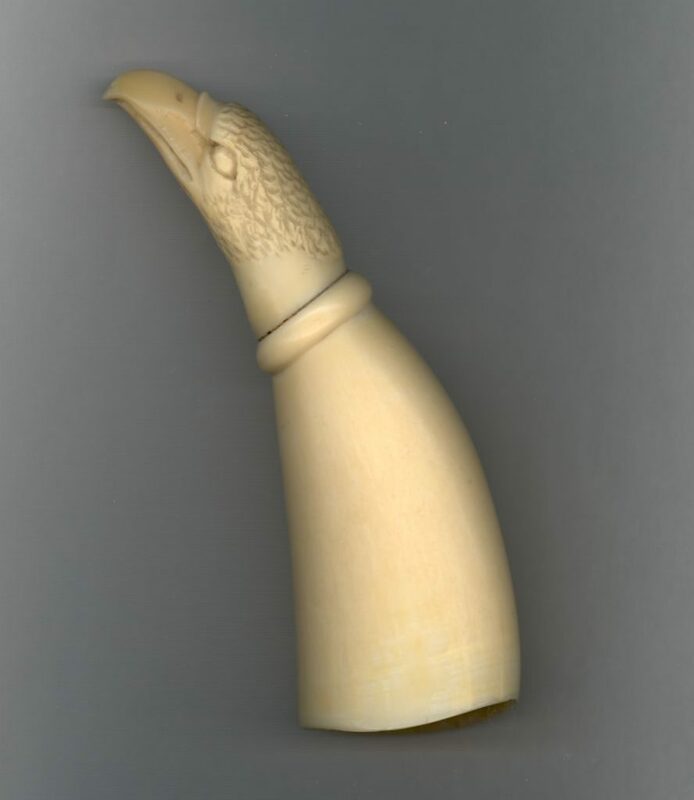 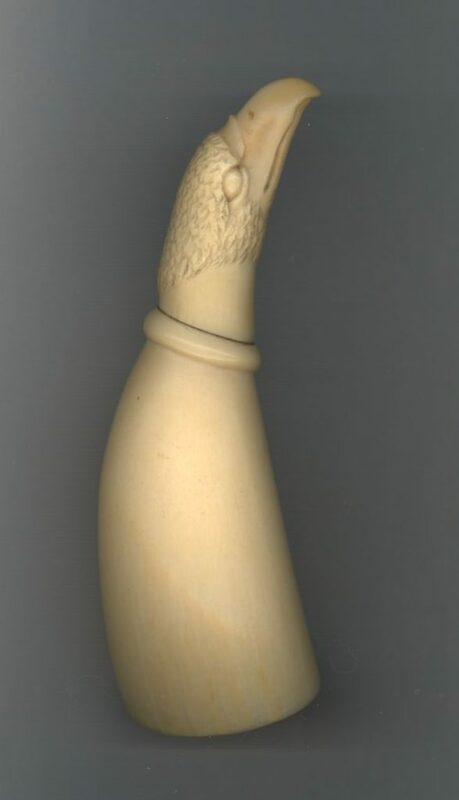 The Paul C. Nicholson Whaling Collection at Providence Public Library has a number of both artistic pieces of scrimshaw and more mundane but finely crafted functional pieces. 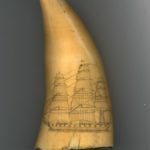 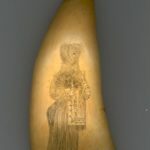 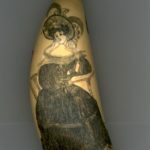 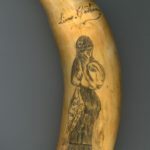 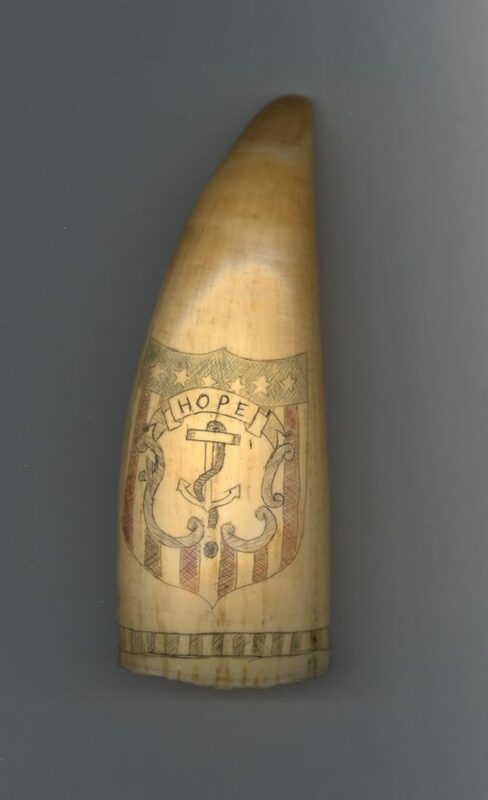 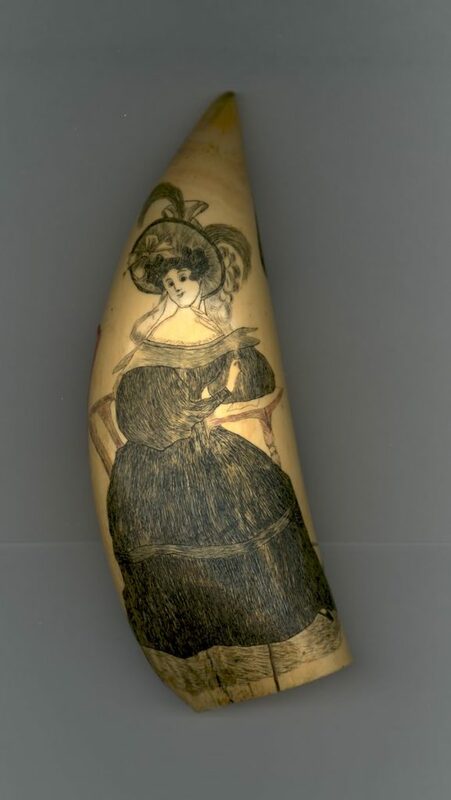 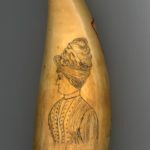 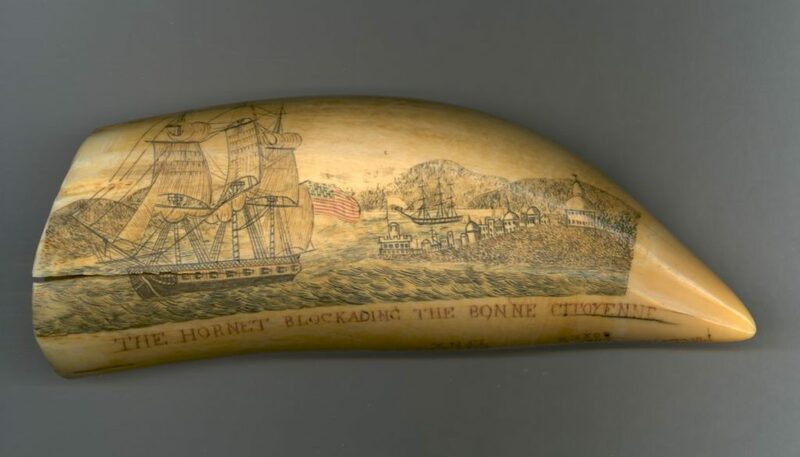 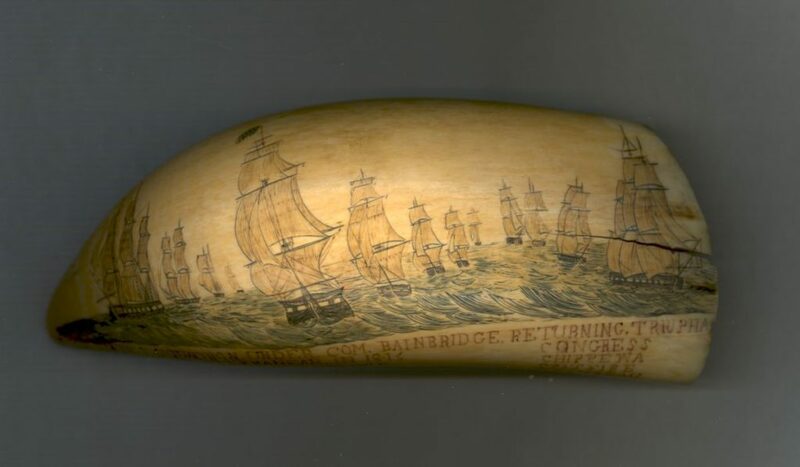 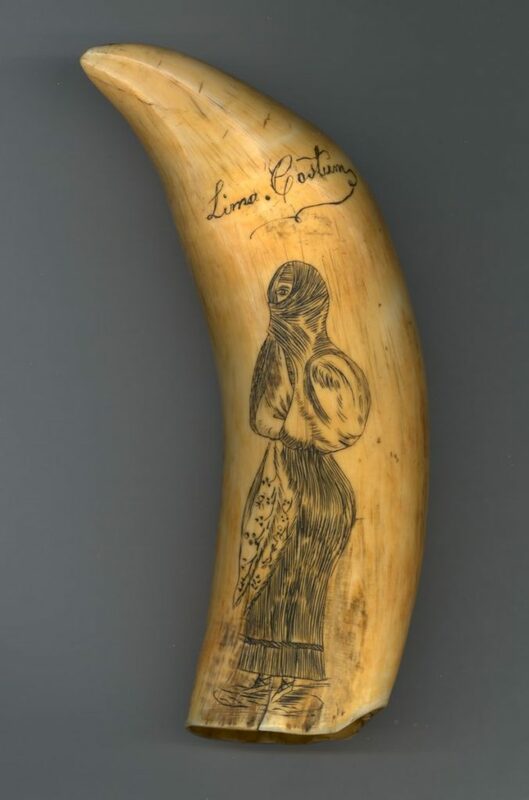 We extend our appreciation to Judith Navas Lund, whaling historian, who expertly cleaned, organized and cataloged the Library’s scrimshaw collection. 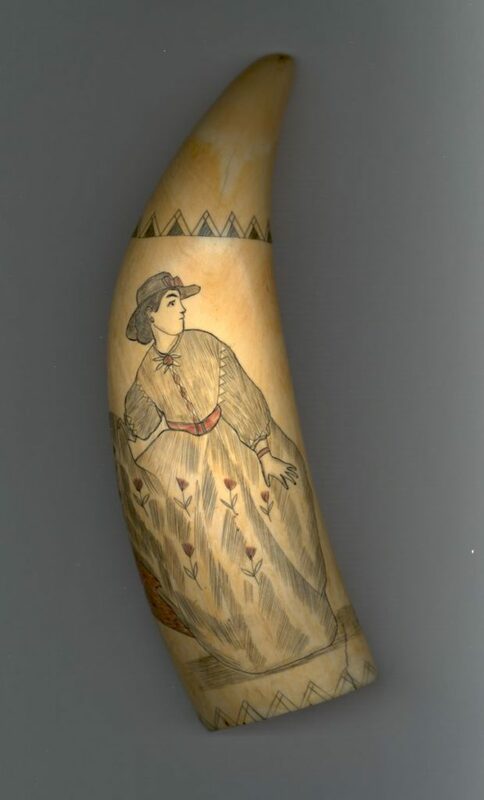 Her valuable help on these and other areas of the collection is greatly appreciated.